Fiat Chrysler Automobiles India has announced that the brand will absorb rising input costs, thereby reducing prices of all variants of the Fiat Linea, Punto Evo and Avventura, currently sold here. Prices of the Fiat Linea range have dropped by up to 7.3 per cent, while the Fiat Punto Evo range sees a price drop of around seven per cent. This price cut is effective immediately, according to Fiat. 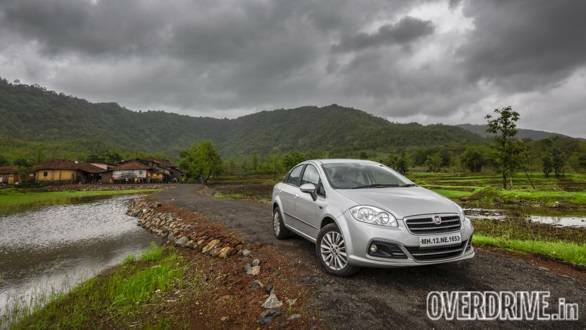 This brings the entire Fiat Linea range within the Rs 10 lakh price bracket (ex-showroom). The brand also says that it is overhauling its sales and service network across the country, making it more modern and better equipped. It has launched a new format for its dealerships, namely destination stores, and opened workshops in cities such as Delhi, Mumbai, Chennai, Ahmedabad, Kochi and Bengaluru. The brand plans on opening more Jeep-exclusive and Fiat-Abarth-Jeep dealerships by mid-2017. This should come just in time to welcome their new SUV, the Jeep Compass. The Jeep Compass was recently spotted testing in India, and is scheduled to be launched here in August 2017. It could be priced around Rs 25 lakh, thereby taking on the likes of the Hyundai Tucson and the Honda CR-V. This could be FCA's big ticket moment at capturing the Indian market.